When I was a young girl, my mother made Boston Baked Beans every Saturday night, served with Boston Brown Bread and hot dogs. This was a tradition in our family, and I thought that everyone ate beans on Saturdays. 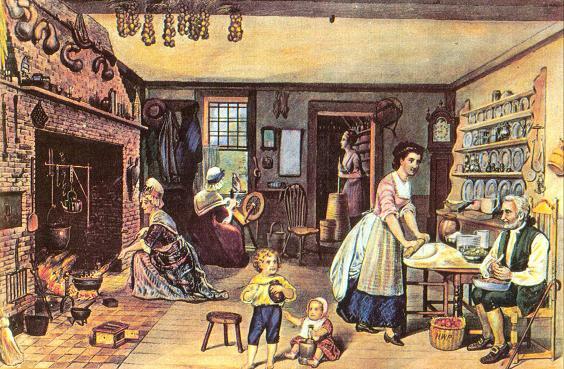 Along with the baked bean ritual, we had our Saturday night baths, where Mother scrubbed us until our skin turned pink, and then painstakingly combed the tangles from our hair. This was in preparation for church the next morning. Little did I know there was a reason for preparing beans on Saturday, which stemmed from Colonial America, and our Puritan upbringing. Sunday was the Sabbath; no work was allowed on that day, and that included cooking. Most Puritans spent Sunday in church, and during the winter months, their austere places of worship were cold and drafty. Because there was no cooking there would be no warm or filling meal at the end of the day, if not for the miracle of baked beans. Beans were prepared on Saturday, and the leftovers were kept in the oven until Sunday. The wood fired ovens would hold their heat, and keep the beans warm enough so the church goers would have a hearty meal when they returned home. Beans are eaten all over the country, but what makes Boston Baked Beans unique is the addition of molasses, which was plentiful in Boston. 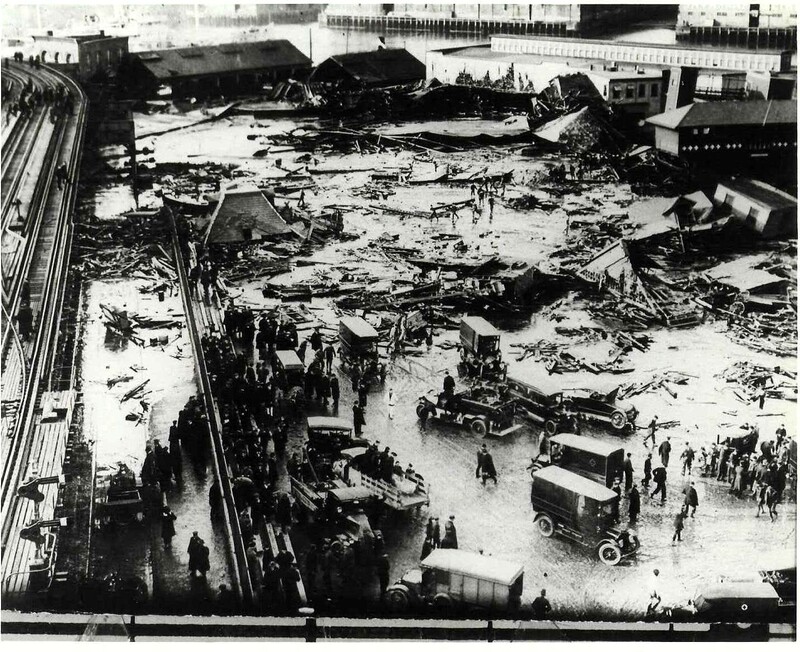 On January 15, 1919, a huge tank of molasses exploded in Boston’s inner harbor in one of the most peculiar structural failures ever to occur. Without warning, a massive tidal wave of nearly 12,000 tons of thick, brown, molasses gushed from a fractured steel tank, leaving twenty-one dead, and over one hundred and fifty injured. The tank was owned by the Purity Distilling Company; the wave of molasses which spilled from the tank was two stories high, killing people, animals, and crushing buildings. This event is referred to as The Great Boston Molasses Disaster, and residents today claim that they can still smell molasses on particularly hot days. There is a fascinating book on the subject called Dark Tide, by Stephen Puleo, and it’s available on Amazon or on the author’s web site: stephenpuleo.com. My recipe for Boston Baked Beans is one I’ve prepared for many years. I use a combination of molasses and maple syrup, and the flavor is sublime. Here are a few keys to success: when you buy the beans, be sure to check the expiration date on the bag. You want to get the freshest beans because old beans will not get tender, no matter how long you cook them. The other key to perfect beans is to cook them in water until they are completely tender, but not mushy, before you bake them with the other ingredients. If the beans are still even a little bit hard, the sugar and salt will make them harder. Another tip is to make sure you check the beans while they are cooking, stirring them now and then and adding extra water to keep them moist. The traditional accompaniment for Boston Baked Beans is Boston Brown Bread. The bread contains cornmeal and molasses, and is steamed in a hot water bath. It may seem like a complicated recipe but indeed it’s quite simple. But if you’re not in the mood to make bread, B&M Boston Brown Bread is a good substitute, and you can find it at most grocery stores. Brings back fond memories of my childhood in Boston. My Bostonian family always served this meal at the end of the month, especially when money was tight. I loved it! BBBeans with cod fish cakes are another memory. We had the canned brown bread, steamed in water with one end of the can opened first. Even when we were stationed overseas, the commissary carried the ingredients and the bread! Karen Miller also writes the ” Eating Scene” for the Amelia Islander Magazine. Thanks to her advice I always know where to get a good meal on the island & usually order what she has in her articles. This Christmas I gave a copy of her cook book “Succotash Dreams ” to my brother & his wife. They loved it!! Every recipe has a short story kinda like Brief Food. Stay tuned Folks this gal can cook! Watch out Rachael Ray, Karen’s on the march. I just LOVE reading your food stories, my friend! I am waiting for another book soon! Keep the stories coming, K.
Definitely part of the social fabric here in Maine.